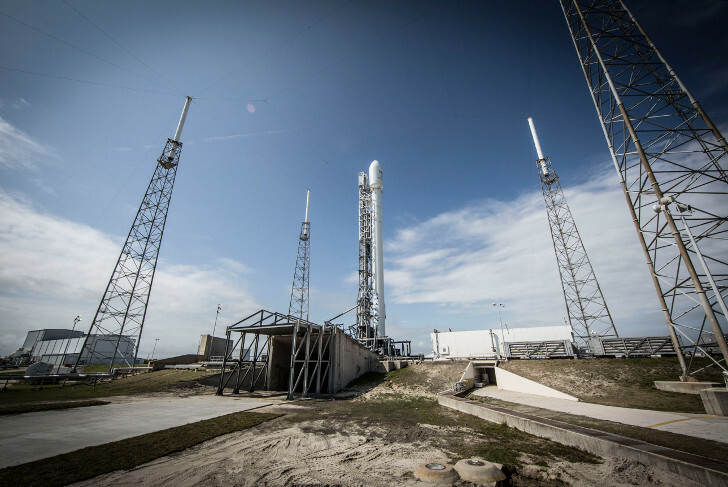 A SpaceX Falcon 9 rocket blasted off from Cape Canaveral Air Force Station on Sunday, sending the world’s first all-electric satellites on their way into orbit. The communications satellites, which were built by Boeing, are the first to use all-electric engines to reach and maintain orbit, and without the need to carry heavy loads of fuel, they are significantly lighter than conventional chemical-propulsion satellites. But by using the efficient, electric ion engines, commercial agencies can radically reduce the cost of sending satellites into orbit. With each satellite weighing in at under 5,000 lbs, as opposed to 8,000 lbs for a chemical-propulsion satellite, the $61 million Falcon 9 craft was able to take two electric satellites up at once, as opposed to just one conventional rig. The downside of these all-electric satellites is that they move rather slowly; according to Reuters, “it will take the satellites months, rather than weeks, to reach their operational orbits about 22,300 miles above the Earth.” Boeing plans to launch more such satellites in the coming years, though they have not stated whether they will remain with SpaceX. 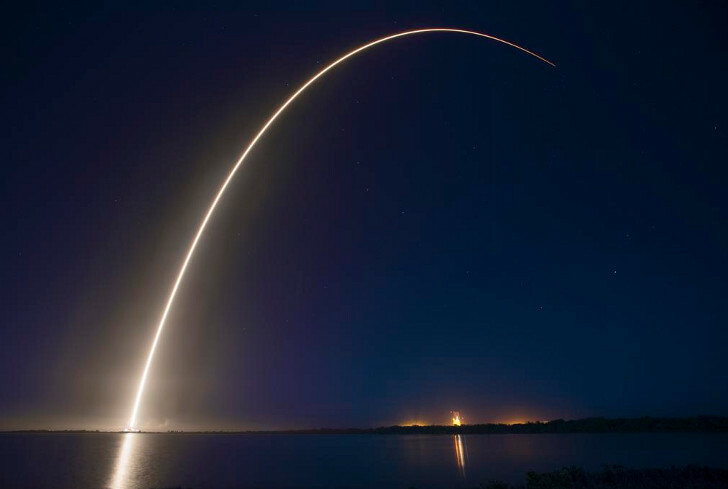 This was SpaceX’s third Falcon 9 rocket launch this year. Technical nit pick: Ion engines are not completely electric. They do have and use up fuel, but they are more efficient than rocket engines. A SpaceX Falcon 9 rocket blasted off from Cape Canaveral Air Force Station on Sunday, sending the world's first all-electric satellites on their way into orbit. The communications satellites, which were built by Boeing, are the first to use all-electric engines to reach and maintain orbit, and without the need to carry heavy loads of fuel, they are significantly lighter than conventional chemical-propulsion satellites.